Seeking A Restraining Order in Sacramento? ​​​Prot​ecting Against A Restraining Order in Sacramento? Choosing the best restraining order attorney in Sacramento can be a daunting task. Many attorneys in Sacramento claim to be "Restraining Order Attorneys" when they practice mostly family law or civil law. It is critically important to do your research before choosing the right restraining order attorney for your case. Restraining Orders, like other specialized area of the law, require knowledge, tactical skill, and experience to be successful. Our general practice on all restraining order cases in Sacramento is to put three attorneys (for the price of one) on every restraining order case. Sounds to good to be true? It is true. With over 47 years seeking and defending against and seeking restraining orders in Sacramento, our restraining order team is here to help. 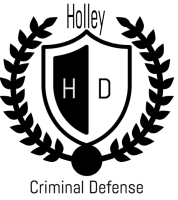 Attorney Robert M. Holley, Attorney Thanh Foxx, and Attorney Jason Holley, join forces as a powerful restraining order team to help our clients obtain the results they so desperately need. What Separates Our Restraining Order Attorneys From The Rest? Top 10 reasons we are the best restraining order attorneys in Sacramento. Experience Matters: We have successfully argued numerous restraining cases in Sacramento. 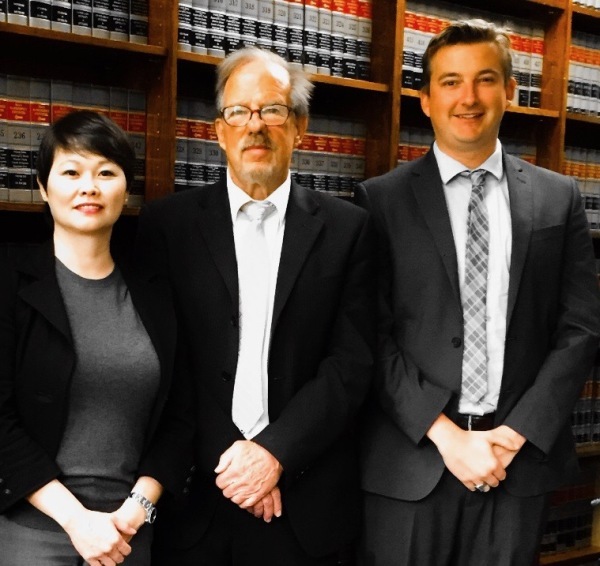 Attorney Robert Holley, Attorney Thanh Foxx, and Attorney Jason Holley have a deep and thorough understanding of the restraining order representation in Sacramento. We know the judges, the law, and what it takes to win. Our Sacramento Restraining Order Attorneys go the extra mile to ensure our clients have the best possible chances of being successful on their restraining order case. Motion Writing: Many attorneys do not write trial briefs or declarations in addition to filing a petition for a restraining order or a response to a restraining order. However, many cases are won and lost before we even step into the courtroom. Motion writing is critically important in Sacramento civil harassment restraining orders and domestic violence restraining orders. Our team of three restraining order attorneys meet with you to develop a deep understanding of the case. With your statement, we write a clear, in-depth, and legally persuasive declaration. This is a statement that the judge will read prior to the court date. We also write a detailed petition or response to the restraining order. This way, we make sure no stone is left unturned and provides you with the best possible chances of winning your restraining order case. Three Attorneys for The Price Of One: Three separate law offices join forces to bring you comprehensive restraining order representation. We all meet with you to determine the best course of action. Attorney Thanh Foxx writes the restraining order petition or response. Attorney Jason Holley helps you draft a declaration or supplemental declaration, organizes exhibits, and prepares for oral argument. Attorney Robert Holley (lead trial attorney and former professor of trial practice at UC Davis School of Law) argues on your behalf to the judge. ALL three attorney appear at your trial date. Vigorous Representation: Our Sacramento civil harassment restraining order attorneys and domestic violence restraining order attorneys in Sacramento know how much this case means to you. Whether are seeking protection of you or your family or need to defend yourself against a fraudulent claim of harassment or abuse, we vigorously argue for you. We know how much is on the line in every restraining order case and do everything within our power and legal parameters to vigorously argue every restraining order case. Availability to Communicate: Many attorneys have their secretaries or legal assistants field calls and questions. Unfortunately, this often to misstated legal advice or worse. We believe that our clients need to have direct access to their actual attorney. For this reason, we give our clients our cell phone numbers so they can call anytime. Open and honest communication with your attorney is vital to your success. We are always here to help. ​ Affordable Price: Hiring a Sacramento restraining order can be a costly endeavor. Many attorneys charge by the hour and pass onto their clients massive attorney fees. Even though three attorneys work on your case, we only charge a flat fee amount for one attorney. Unfortunately in Sacramento, you often get what you pay for. If an attorney charges a low amount, that often parallels how much work they are able to put into a case. Since we divide and conquer our restraining order cases, we are able to keep the costs low and provide you with the best restraining order representation in Sacramento. ​ Comprehensive Restraining Order Service: When you hire us to represent you, we do absolutely everything. Your flat fee covers all meetings, motions, court appearances, and the trial. We file all documents on your behalf with the Sacramento County Superior Court. The only thing we need from you is let us assist you in trial preparation and for you to attend your trial date. Leave the rest of the work to us. Passion: Our best restraining order attorneys in Sacramento approach every case with the passion to help our clients. We have saved clients from abusive spouses and defended against false and fraudulent allegations. Getting a restraining order can be life changing, and we know the importance of doing a good job. Knowledge is Power. One of or many advantages in restraining order cases is our comprehensive knowledge of restraining order law and the rules of evidence. We believe in thoroughly explaining to the client what exactly the judge will consider and likely how much credibility various types of evidence have in the courts rulings on restraining orders. We urge you to familiarize you with the information provided in this website so you can get an idea of the restraining order process and what to expect. Don’t Take Our Word For it: Feel free to look up our restraining order practice on google, yelp, Facebook, etc.... Our record speaks for itself. A restraining order (also known as protective order) is a court order in which the judge issues against an offending party in order to protect a person a person being from continued harassment, stalking, physical violence, and other forms of severe annoyance. There are two primary types of restraining orders in Sacramento: 1. Civil Harassement Restraining Orders and 2. Domestic Violence Restraining Order. Below information from: saccourt.ca.gov). This is for INFORMATIONAL purposes ONLY. What is a civil harassement restraining order in Sacramento? by someone you do not have a close relationship with, like a neighbor or roommate. This type of restraining order case will be filed and argued in the Sacramento County Superior Court in Downtown Sacramento. Can I get a civil harassement restraining order in Sacramento? Has threatened you with violence. How can obtaining a restraininf order in Sacramento help me? You can also ask for protection of family and people you live with. What are the limitations of a restraining order? What forms are used to file for a restraining order? You must fill out all of Form CH-100, Request for Civil Harassment Restraining Orders, and Form CLETS-001,Confidential CLETS Information. If you need attachments, you may use Form MC-025. You must also fill out items 1 and 2 on Form CH-109, Notice of Court Hearing, and items 1, 2, and 3 on Form CH-110, Temporary Restraining Order (CLETS). Our Sacramento Restraining Order Attorneys fill out and file all of the above paperwork on your behalf along with filing declarations and pre-trial motions. That depends on the type of harassment. If the restrained person has used or threatened to use violence against you or has stalked you, you do not have to pay a filing fee; otherwise, you must pay the fee. If you cannot afford to pay the filing fee, ask the clerk how to apply for a fee waiver. Form FW-001 is available for this purpose. If the order is based on prior acts of violence, a credible threat of violence, or stalking, you are entitled to free service of the order by a sheriff or marshal. Also, if you are eligible for a fee waiver, you can ask the sheriff or marshal to serve the order for free. If you are not eligible for free service, you may pay the sheriff or marshal to serve the order. What can I do in preparation of obtaining a civil harassement restraining order? First and foremost, you are already taking the most important step - doing your research. Restraining order law can be cumbersome, complicated, and overwhelming. Doing your research can help you know what questions to ask your attorney and assist in your restraining order case. If you choose not to be represented by an attorney, you must go to the superior court in the county where the harassment took place or the person to be restrained lives. At the court, ask where you should file your request for a civil harassment restraining order. (A self- help center or legal aid association may be able to assist you in filing your request.) At the court, give your forms to the clerk of the court. The clerk will give you a hearing date on the Notice of Court Hearing form, and if your request for immediate orders is granted, a copy of the Temporary Restraining Order signed by a judicial officer. The court may or may not let witnesses speak at the hearing. So, if possible, you should bring their written statements under oath to the hearing. (You can use Form MC-030, Declaration, for this.). How soon can I get an order? If you ask for a temporary restraining order, the court will decide within 24 hours whether or not to make the order. Sometimes the court decides sooner. Ask whether you should wait or come back later to get the signedNotice of Court Hearing and Temporary Restraining Order. If the court makes a temporary order, it will last until your hearing date. At that time, the court will decide to continue or cancel the order. The order could last for up to five years. Call the police. The restrained person can be arrested and charged with a crime. Having a lawyer is always a good idea, but it is not required and you are not entitled to a free court- appointed attorney. Ask the court clerk about free and low-cost legal services and self-help centers in your county. What will happen at the restraining order trial? Yes. You can bring someone to sit with you during the hearing. But that person cannot speak for you in court. Only you or your lawyer (if you have one) can speak for you. Why do I need to seek a restraining order if I can just call the police? We are often asked, “Can’t I just call the police?” If you believe you have been harmed or are in danger of being harmed you absolutely can call the police or 911. However, given the current climate in our criminal justice system, often prosecutors and police do not have the resources to pursue and prosecute every case. What this means for you is that you may need to be proactive in protecting yourself. Sacramento protective orders and restraining orders provide you with a tool to do just that. Many of our clients find themselves in a situation where they need to protect themselves from a protective order or restraining order in Sacramento. Defending your restraining order case in Sacramento is critically important to protect yourself from wrongful allegations and potentially serious repercussions including but not limited to losing custody of your child, the restraining order showing on a background check, and criminal incarceration for subsequent violations. Our law offices takes defending against restraining orders very seriously and we treat each protective order case with as much knowledge, skill, and expertise as we do our criminal cases. We write a response to the petition for a restraining order, we assist with declarations, supplemental declarations, obtain photos, text messages, videos, e-mails, and all other evidence ​​to assist you in defedning agast a restraining order. Below information is from: saccourt.ca.gov and is for informational purposes ONLY. What is a Domestic Violence Restraining Order in Sacramento? A domestic violence restraining order is an order that helps protect you from someone with whom you have a close relationship and who is abusive. It may contain orders telling that person what they cannot do to you. It may also have orders that tell that person to stay a certain distance away from you. This type of restraining order is filed with Sacramento Family Court also known as the William R. Ridgeway Family Relations Courthouse on: 3341 Power Inn Road Sacramento, CA 95826.
Who can I file a Domestic Violence Restraining Order against? Person who regularly lives in your home. If we have children can the restraining order include custody orders? If you and the other party have children together the court may make a Parenting Plan part of its orders. A domestic violence restraining order is different from a custody order. In our experience judge's are hostile against using restraining orders as a method to gain custody. In fact, it could end up hurting your child custody case if you file for a fraudulent restraining order. Is is important to spealk with a qualified Sacramento attorney to discuss possible ramifications of filing for a restraining order in a divorce or child custody case. Where do I file my forms for a domestic violence restraining order? All forms related to a domestic violence restraining order in sacramento must be filed in the Family Law Filing Department of the William R. Ridgeway Family Relations Courthouse. If you have an attorney, he/she will draft the petition or response and file the paperwork for you. According the Sacramento Court Website, if your forms are filed before 2:00 p.m. you will receive your order at 3:45 p.m. the same day. If the forms are filed after 2:00 p.m., then they will be ready for pickup after 3:45 p.m. the next business day. You must go to Reception to get a service ticket. You must wait for your number to be called in Room 102 of the Family Law Records Unit, at 3:45 p.m. to receive the judge's decision on your application for a restraining order. In most cases, a hearing will be set for you and the other party. It is your responsibility to have other person personally served. Proof of service for the other person must be presented and filed with court prior to or at the time of the Domestic Violence Restraining Order hearing. Service is an important part of your case. Without service, the opposing side will not be aware of the court date and the judge, in most cases, will not hear the evidence. Once or if a judge issues a TRO or temporary restraining order prior to hearing the case, you are also required to serve notice upon the other side, or their attorney if they are represented. If the party to be served lives or works in Sacramento County, the Sheriff's Civil Bureau can serve the documents to the other party. They are located in Room 313 of the William R. Ridgeway Family Relations Courthouse. If the person to be served lives and works outside of Sacramento County, you may contact the Sheriff of that county for help. Be sure to contact them promptly so they will have enough time to serve the respondent before the scheduled hearing date. You can also have someone you know can serve the restraining order documents to the respondent. The server must be over 18 and not one of the parties protected by your order. Therefore, you cannot serve the documents yourself because you are a party to the action. What if I can't get the restraining order served in time for the hearing or I need a continuance? - Yes, you can continue the hearing. There are two ways to continue your court date on your domestic violence case. If you have been unable to serve the defendant, you will need to complete a Request for Continuance Packet. The forms must be completed and filed along with a copy of your original Notice of Court Hearing, prior to 2:00 p.m. on the day before your scheduled hearing. You may also orally request a continuance in court during your hearing. If your request for continuance is granted, the Judge will sign an order and set a new hearing date. Both methods extend your Temporary Restraining Order so you will be protected until the new hearing date. (information from saccourt.ca.gov). What does it cost? Where do I get a fee waiver? A Domestic Violence Restraining Order or Elder or Dependent Adult Abuse Restraining Order may be filed without charge (you do not need a fee waiver application). Where do I file? How do I get a case number? A Domestic Violence Restraining Order or Elder or Dependent Adult Abuse Restraining Order is filed at the William R. Ridgeway Family Relations Courthouse. Once you have completed the required forms, get a service ticket before going to Room 100. Wait with your service ticket in Room 100, Family Law Filing, or the Public Lounge. You cannot file any restraining orders in the Drop Box. Once your paperwork is accepted at the window, the Filing Clerk will issue you a case number. If you already have a Family Law case involving the same person you are seeking to restrain (for divorce, legal separation, annulment, or custody), you may be instructed to use that case number on your Restraining Order. If you are attempting to file a restraining order and receive an answer from the judge on the same day, you MUST have your forms accepted by the Filing Clerk no later than 2:00 p.m. The filing process can be lengthy and there may be a lot of people ahead of you. Come early for filing and prepare for a long wait. Is my order effective today? Your restraining order is ONLY effective once it has been served on the defendant. You must have your server fill out the Proof of Service form and return it to you immediately after the delivery is made. File the Proof of Service with the court. Once the Proof of Service is processed by the Court, the restraining order information is entered into the Law Enforcement computer system and is then accessible state-wide. Domestic Violence Restraining Orders are often complicated with numerous forms, rules of evidence, and other related family law issues including custody, child support, etc. Attorney Thanh Foxx, one of our three restraining order attorneys, primarily practices family law and is very familiar with the judges and family law process. It is important to speak with an experienced domestic violence restraining order attorney to seek guidance. Our attorneys have the knowledge, skill, and expertise, to help protect you seek a restraining order or protect yourself against one.